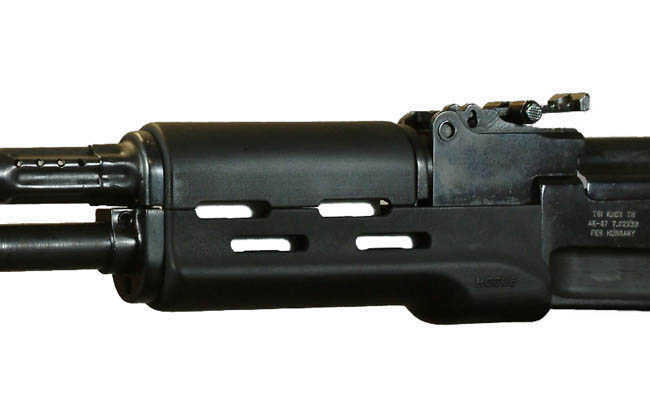 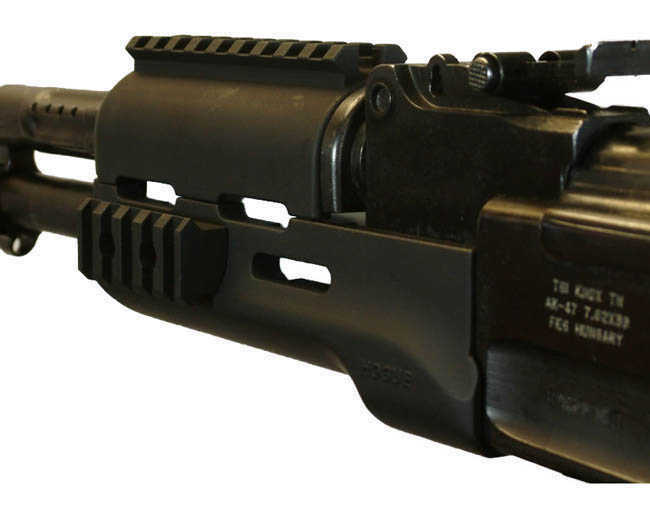 Hogue overmolded handguard with two upper handguards. 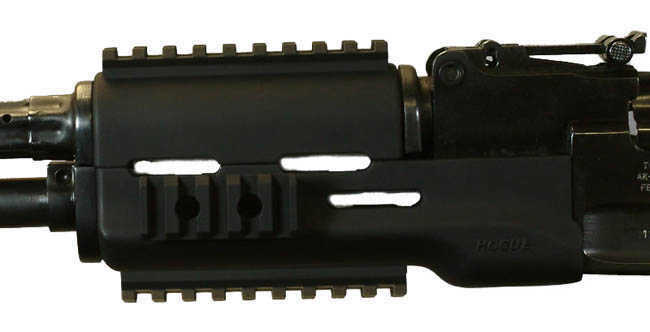 One upper has an accessory rail and the other is like the original without the rail. 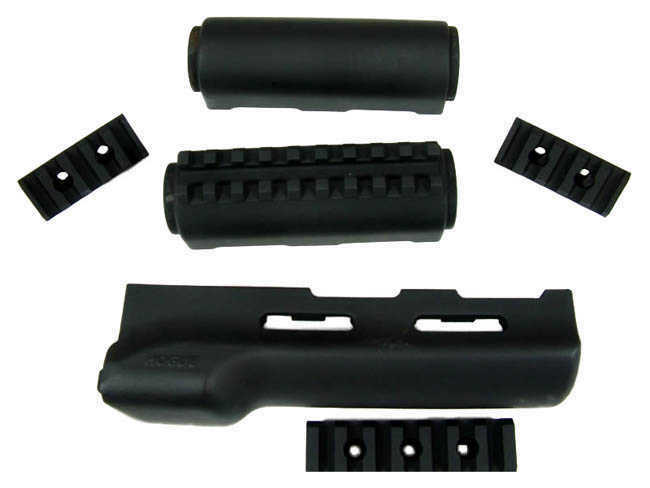 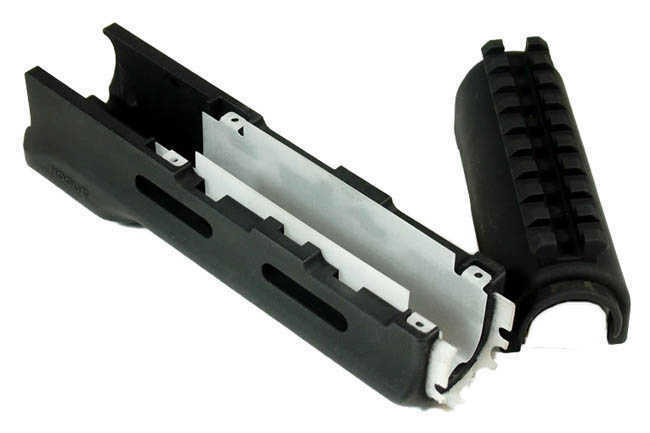 The lower handguard comes with three optional accessory rails that can be added if needed.